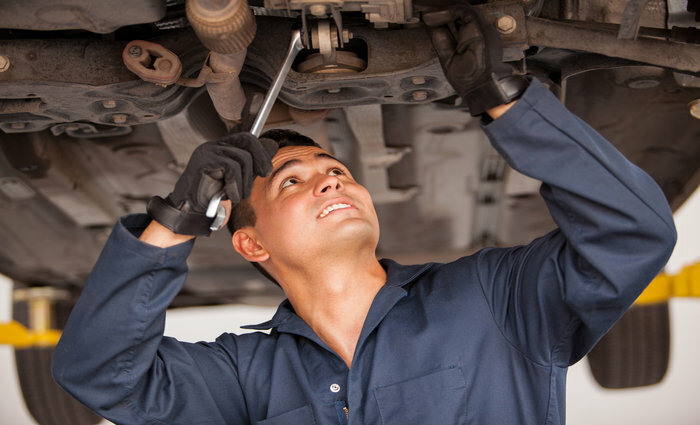 Most people do not think about an auto mechanic until they need one. Finding the right auto mechanic can be stressful, especially if you need a good mechanic, fast. While you can take your chances with any mechanic, it is better to do a little bit of research beforehand. Follow these tips to ensure you are using the best mechanic possible. Use your social network. Reaching out to your social network using social media is a great way to get recommendations of places to go, and places to avoid, by people you know and trust. Do not choose solely based on price. While price should be a factor, it should not be the deciding factor. Choosing the cheapest mechanic could lead to the cheapest work. Figure out what is important to you. Not everyone looks for the same criteria when looking for a mechanic, and not all mechanics meet the same criteria. Make sure to look for certain accreditations and certifications when looking for mechanics. Get lots of estimates. Especially if you only have minor damage, make sure to shop around and get lots of different estimates. Do not settle for the first estimate you get, and make sure to ask what the price includes. Make sure the shop is insured. Ask to see the certification of insurance to make sure your vehicle is protected in case of a fire or theft while it is at the shop. Stick with a good mechanic. Finding a good mechanic shop can be hard, so once you find a good one, stick with it. Most likely, you will create a relationship with the mechanic, who will then make sure all your needs are taken care of. It is also important to make sure your car has the right auto insurance coverage to protect it from any damage. Contact Gee Schussler Insurance Agency for all of your insurance needs in Orland Park, Illinois.